New EP 'Jolt' (feat. Damien Kelly) has just been released on iTunes. Ciaran has teamed up with irish guitarist Damien Kelly to form a new collaboration entitled 'Farrell Kelly'. On Sunday the 11th of December they officially released their first EP together, 'Jolt'. It appeared on iTunes the following Thursday and went straight to number one in the Irish classical iTunes charts, ahead of Andrea Bocelli, Einaudi and a plethora of 'Best of' releases for Christmas. This is a second #1 for a Farrell project. Damien Kelly is one of Ireland's foremost guitarists. He has had many achievements in his short career to date winning all the major competitions in Ireland for classical guitar including the contemporary music cup and the senior guitar competiton. He has also won numerous awards and scholarships from the Royal Irish Academy of Music in both guitar and piano. He performs regularly both at home and abroad. 'Jolt' (feat. Damien Kelly) is a prelude to a full album planned for 2012 which will feature new music for solo guitar, guitar and digital delay, and guitar with bottleneck/slide. 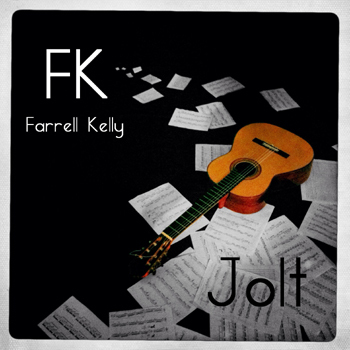 Join Ciaran and Damein, (Farrell Kelly), on YouTube for videos of music from 'Jolt'. You can also catch up with them Facebook.